Using the form to the right please select the details of the tyre size you require and any additional information you think may be relevant and we'll get back to you ASAP. In the message box you may wish to specify if you would like a particular brand and pattern or if you're looking for a budget, mid-range or top end tyre. Not sure where to find the width, profile and size? 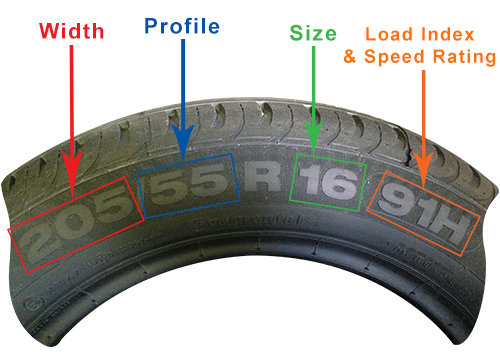 See the image below for where to find the information on your tyre.